The Revolutionary New Language Instruction Method That's Proven to Work! Say adios to the notion that learning a language can't be fun. 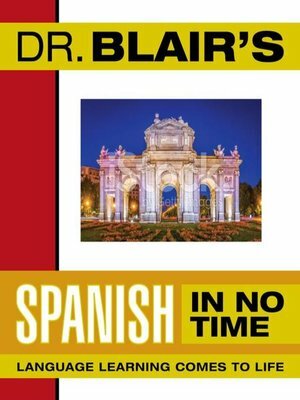 Dr. Blair's Spanish In No Time uses compact-disc audio to get you speaking Spanish more quickly and enjoyably than you ever thought possible.